Home >> Professionals >> Ryan C. Smith, Ph.D.
Update on the American Invents Act: Virtual Marking, November 2011, Larkin Hoffman e-newsletter, cited on AIPLA Lexology. Ryan is a dedicated intellectual property attorney in Minneapolis who focuses his practice on chemical and life science technologies. His clients range from individual innovators, startups and fortune 500 companies. 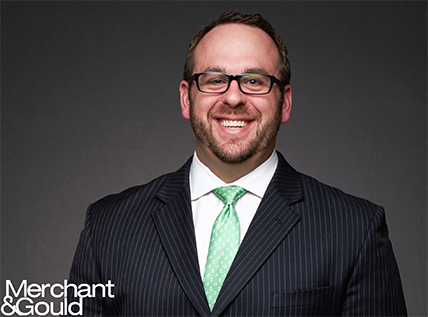 Prior to joining Merchant & Gould, Ryan worked for a law firm in Minneapolis. There he handled issues for clients in the biomedical, food science, chemical and medical device industries. He also previously worked for the U.S. Patent and Trademark Office as a patent examiner. His role there involved evaluating patent applications relating to drug-delivery devices and bio-affecting and body-treating compositions. Ryan uses both experiences to help his clients strategically navigate the patent process from product concept to clearance. For over a decade, Ryan has learned that each step of the patent process is important, and values fostering a true partnership with clients to help achieve business objectives. 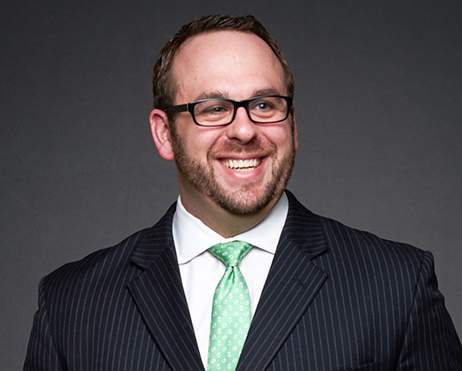 Ryan’s goal is to be your go-to 24/7 intellectual property attorney. He strives to become an active extension of your own in-house IP department, always working in line with your business. To gain such a partner for your business—one who will always keep an eye to your company’s overarching IP strategy—call Ryan today at 612.336.4612 or send him an email.